" As part of NPR's Crossing the Divide series, author Saidiya Hartman talks about one of the oldest and deepest divides in America: slavery. 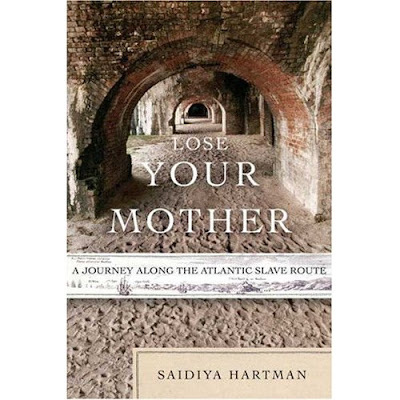 In Hartman's new book, Lose Your Mother: A Journey Along the Atlantic Slave Route, she returns to Ghana to do research, but instead finds personal transformation." "In this rousing narrative, Berkeley professor Hartman traces first-hand the progress of her ancestors-forced migrants from the Gold Coast-in order to illuminate the history of the Atlantic slave trade. Chronicling her time in Ghana following the overland slave route from the hinterland to the Atlantic, Hartman admits early on to a naïve search for her identity: "Secretly I wanted to belong somewhere or, at least, I wanted a convenient explanation of why I felt like a stranger." Fortunately, Hartman eschews the simplification of such a quest, finding that Africa's American expatriates often find themselves more lost than when they started. Instead, Hartman channels her longing into facing tough questions, nagging self-doubt and the horrors of the Middle Passage in a fascinating, beautifully told history of those millions whose own histories were revoked in "the process by which lives were destroyed and slaves born." Shifting between past and present, Hartman also considers the "afterlife of slavery," revealing Africa-and, through her transitive experience, America-as yet unhealed by de-colonization and abolition, but showing signs of hope. Hartman's mix of history and memoir has the feel of a good novel, told with charm and passion, and should reach out to anyone contemplating the meaning of identity, belonging and homeland." "Du Bois was invited to Ghana in 1961 by President Kwame Nkrumah to direct the Encyclopedia Africana, a government production, and a long-held dream of his. When, in 1963, he was refused a new U.S. passport, he and his wife, Shirley Graham Du Bois, became citizens of Ghana, making him dual citizens of Ghana and the United States. 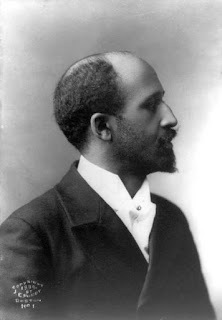 Du Bois' health had declined in 1962, and on August 27, 1963, he died in Accra, Ghana at the age of ninety-five, one day before Martin Luther King, Jr.'s "I Have a Dream" speech."